Are GMOs Affecting Your Health? 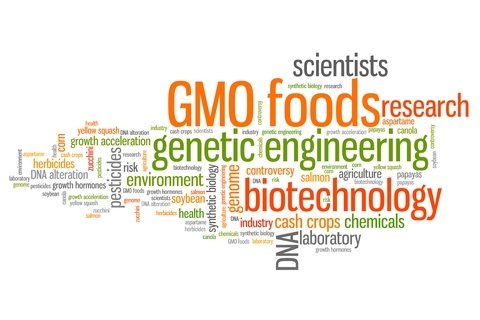 A lot of people seem to be confused about genetically modified organisms (GMOs) and how they can potentially affect health and the environment. 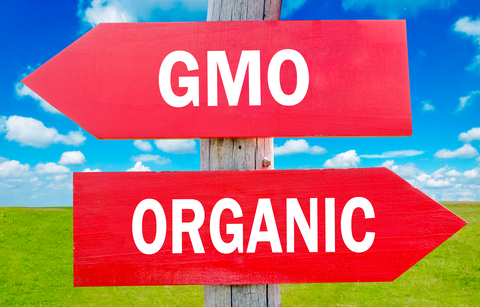 Essentially, GMOs are an organism that has been genetically altered in a way that does not occur naturally in nature. This is a recombinant DNA technique. It is not the same as cross-breeding or natural recombination. When scientists or farmers cross-breed to acquire desirable traits in plants, the plant still contains its own species of DNA. GMOs have been created through the modification of genetic DNA where DNA is transferred from an outside source such as from another species by laboratory techniques. Genes may come from bacteria, viruses, insects, animals or even humans. This process is called genetic engineering (GE) or genetic modification (GM). Research studies have been conducted on GMOs but the evidence is contradictory and the quality of the science varies. GMOs have not been proven safe. In the USA there have been cases of GMOs that have caused allergic reactions in people such as the Starlink Bt corn. This GMO corn was found in products made of corn, such as taco shells, even though it had not been approved for human consumption. Scientists developed the Starlink GMO corn by inserting a Cry9C protein, from a common soil bacteria (Bacillus thuringiensis otherwise known as Bt), into the corn. This Bt Cry9C protein was inserted into the DNA of the corn as a pesticide because it is effective against caterpillars. The Cry9C protein binds to different sites of an insect's gut and destroys its stomach cells. In this case it was discovered in food because people who ate the taco shells contaminated with the Starlink GMO corn reported allergic reactions. This is just one example of the many reasons why GMOs are so controversial. We don't know exactly how the alteration of DNA and the addition of different proteins will affect the health of humans or animals which eat GMOs. Releasing GMOs into the environment without knowing a more complete impact has the potential to not only harm the health of people and animals but also risks contamination of non-GMO crops and killing friendly species of insects such as bees and monarch butterflies. Additionally, many of the GMO crops are designed by scientists to be resistant to chemical pesticides, herbicides, and fungicides. GMO crops are designed to be more disease resistant and require fewer chemicals, but these crops continue to be heavily sprayed with toxic chemicals and when tested many single pieces of fruit or vegetables can contain more than 13-15 different types of pesticides. When consumed, these chemicals generate free radicals that can damage cells and DNA, become stored in fat, disrupt endocrine hormones and are linked with cancer. Europe and many other countries heavily regulate GMOs and require that they be labeled on all food product packaging. Even the World Health Organization states that GMOs need to be assessed before being allowed on the market because the genetic modification has a potential to cause allergic reactions. The way in which GMOs are farmed is a major problem as it is polluting our food, air and water. GMO farming is also causing resistant super weeds and pests that are mutating to resist the pesticides and herbicides. Additionally, because GMO seeds are patented, farmers are unable to save seeds and for some farmers, this has been a devastating financial situation in which they cannot maintain the continuous debt owed to seed corporations. This is a very political topic that I urge you to research and learn more about. Many farmers are forced into growing GMO crops because they do not have a choice. The food choices you make greatly affects the demands for crops grown. Because seeds are patented, many seed companies now control our food supply and this is a very serious problem. Typical GMO crops in the USA are soybeans, corn, wheat, rapeseed (canola), sugar beet, and cotton. Examples of foods that can be GMO: soybeans and oil, corn and corn oil, canola oil, wheat products, dairy products from animals injected with rbGH growth hormone, meat, eggs, dairy from animals that were fed GMOs, honey from the pollen of GMO crops, high fructose corn syrup, chips, bread, cereal, infant formula, tofu, peanuts, ice cream, chocolate, citric acid and more! GMOs are even in cosmetics, detergents, shampoo and bubble bath. Choose organically grown foods as much as possible. GMO Compass. The European Regulatory System – Genetic Engineering, Plants and Food. GMO Compass. http://www.gmo-compass.org/eng/regulation/regulatory_process/156.europea.... Accessed February 8, 2015. Nestle, M. Safe Food. Berkley and Los Angeles, CA: University of California Press; 2003:2-13. World Health Organization. Food, Genetically Modified. WHO. http://www.who.int/topics/food_genetically_modified/en/. Accessed February 8, 2015. GMO Compass. GM Crops – The Big Four: Soybean, Maize, Rapeseed and Cotton. GMO Compass. http://www.gmo-compass.org/eng/grocery_shopping/crops/. Accessed February 8, 2015. Seeds of Deception. What is GMO? Seeds of Deception. http://seedsofdeception.com/what-is-gmo/. Accessed February 8, 2015. Environmental Working Group. All 48 Fruit and Vegetables with Pesticide Residue Data. EWG. http://www.ewg.org/foodnews/list.php#. Accessed February 8, 2015. If you would like to create a more vibrant and healthy life and need nutrition counseling and support to help you get started, please contact me today! I can help you 866-330-5421. Services are provided nationally via telephone sessions. Thank you very much for reading my blog and please continue to visit often. I wish you good health, happiness and love! Follow Artemis in the City! Please subscribe to the RSS feed so that you will be updated when new articles are posted Artemis in the City Blog. I also have YouTube and Vimeo video channels! Your comments are very important to me. I would love to hear from you. To prohibit spam, you must be a registered user to leave me a comment. All submitted comments must be approved before they are posted. You only need to submit your comment to me one time. Thank you!